When it comes time to upgrade the exterior doors at your home, it’s important to search around and find the best company for your needs. 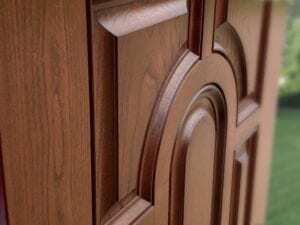 With so many door installers in the Arlington Heights, Illinois, area, that can be difficult. But, Next Door & Window makes the decision a little bit easier. A family tradition since 1947, we have helped countless homeowners in the area upgrade their homes with beautiful doors that are built to last. And, we look forward to helping you next. At Next Door & Window, we are proud to offer a variety of doors, including both entry and patio doors, as well as storm doors, which are commonly upgraded along with entry doors. Whether you want to spruce up your home’s entryway or trade out your old, damaged patio door for one that glides effortlessly open and closed, you can count on Next Door & Window to have what you’re looking for. If you require, we can also install your new door with a level of craftsmanship that is difficult to find with other door installers in the Arlington Heights, IL, area. We take multiple measurements before, during, and after the installation for quality control and to ensure that you are completely satisfied with your new door. We are so confident in the work of our installers that we offer a five-year Next Door & Window labor warranty. This is in addition to the Lifetime Coverage that comes with many of our products. For more information about our doors or installations, or the way in which we separate ourselves from other door installers in the Arlington Heights, IL, area, contact Next Door & Window today.